The best energy bars for cycling deliver a tasty mix of flavor, nutrition, and ride-sustaining fuel. Energy bars have come a long way from the days of nearly inedible chalk-like bricks that graced our CamelBaks in the 1990s. Now there are options for almost every diet, taste, and macro nutrition goal. With so many options things can get confusing. What should you eat? When should you eat it? Maybe that seed bar isn’t the bar for you? But with enough options you should be able to find the perfect bar for your lifestyle and palate. To help you navigate the world of on-the-go energy snacks, Mtbr has put together this curated list of the best energy bars. This list of the best energy bars starts with the classics. These manufacturers have stood the test of time, and you can find them in most grocery stores, bike shops, and even some gas stations/convenience stores. Quality ingredients and years of trial and error have made these bars a sure way to satisfy your nutrition needs on the trail or road. 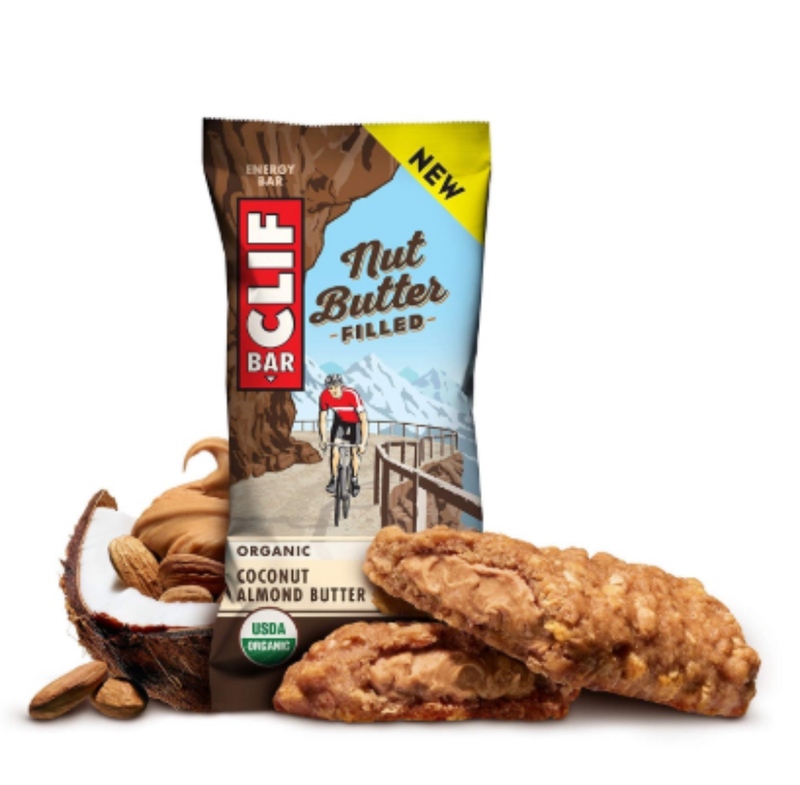 An update to the classic Clif Bar, it combines coconut and almond butter for a tasty treat that will fuel you for many miles. At 230 calories per bar, this bar is more calorically dense than Clif’s more traditional, and the taste is like a gourmet almond butter sandwich with a coconut finish. The Hammer Bar is a standby for many bike racers. It’s made from raw ingredients and is typically very easy on the belly. Hammer maintains that its energy bars contain no added refined sugars. At 190 calories per bar, this energy bar provides nutrient-dense complex carbohydrates, complete vegetable proteins, and healthy fats. And Hammer Bars are soft and easy to consume while on the bike. You can even share them with your diet-restricted friend, as they are certified vegan, kosher, and gluten-free. 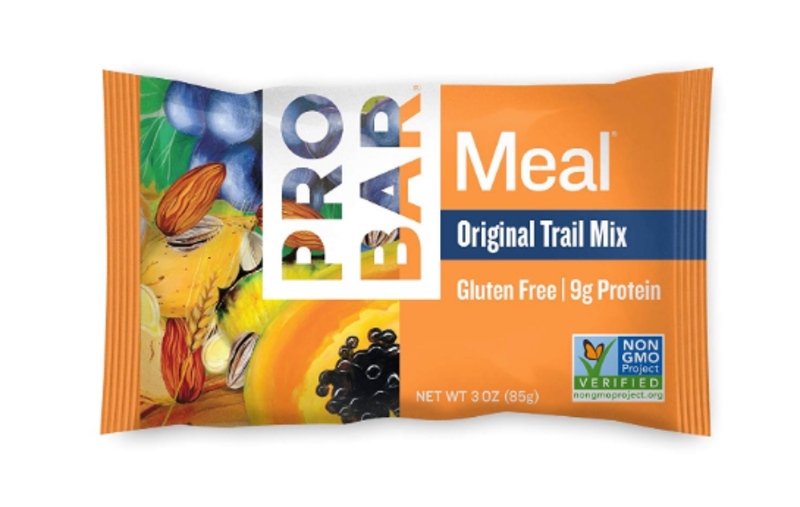 The first real meal bar I ever ate was a PROBAR. It continues to be lunchtime staple to this day. The Trail Mix version is a condensed serving of classic trail mix combined with enough simple ingredients to keep the cleanest eating riders happy. Its 360 calories packs 6 grams of fiber, 9 grams of protein, and includes 15 percent of your daily iron. It’s also has 7 percent of muscle cramp busting potassium. 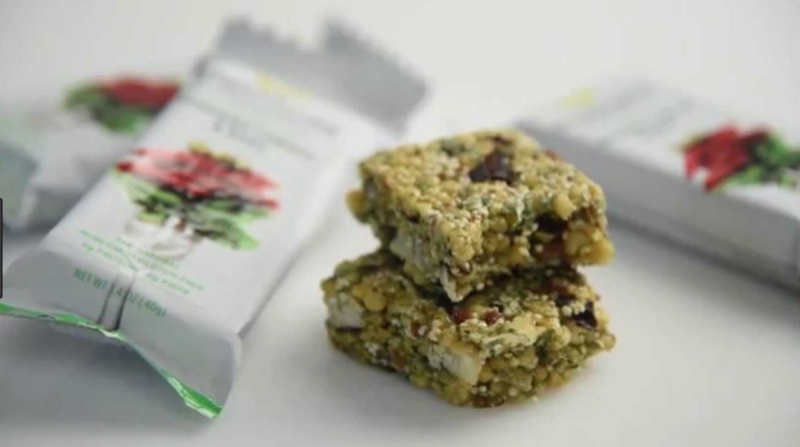 An authentic meal in a bar, this energy bar will fuel you for miles and miles. For those who like their best energy bars on the savory side, options abound. There are lots of alternatives to the sweet candy flavor found in most energy bars. These bars also allow you to mix things up while training. Kind is known for their fruit sweetened, nutty bars. But this option trends toward bold and savory while still delivering all the protein, carbs, and good fat you’re looking for — plus a kick of spice and heat. At 190 calories and comprised mostly of nuts and spices, you can achieve the macros you’re striving for without lacking the flavor. If you’re like me, you’ll love them equally on the bike or sitting at your desk. 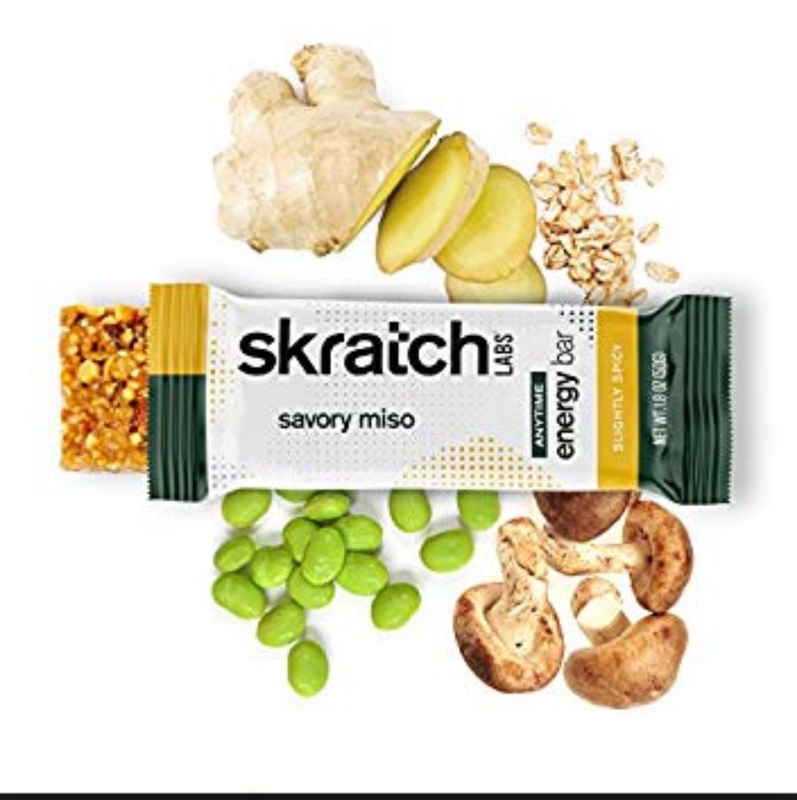 Made from a blend of candied ginger with red pepper flakes and soy sauce, the savory miso-flavored Skratch Labs Anytime Energy Bar sounds like a meal at a classy restaurant. Skratch adds golden berries, sesame seeds, and almond butter to keep nutrition high and taste delicious. The first bite starts with the savory taste of miso and ginger followed by a hint of spicy red pepper flavor. At 210 calories with 27 grams of carbs, this is an excellent option for long training rides. For those looking to travel deep into the world of savory bars, Mediterra has some great options. Their Black Olives & Walnuts bar is a delicious mix of light sweetness and salt. The olive taste is subtle, but tastes rich with the drizzle of extra virgin goodness, green pepper, pea crisps, and chives. At 170 calories, with 17 grams of carbs and 10 grams of fat, the Mediterra is a well-rounded option for hard training rides. In my experience, if you bring one on a group ride, you may as well pack extras, as fellow cyclists love to try this unique take on energy bars. For riders who steer clear of all things dairy, there are many great energy bars available that are vegan friendly. These energy bars also typically contain unprocessed, wholesome ingredients that any athlete will love. 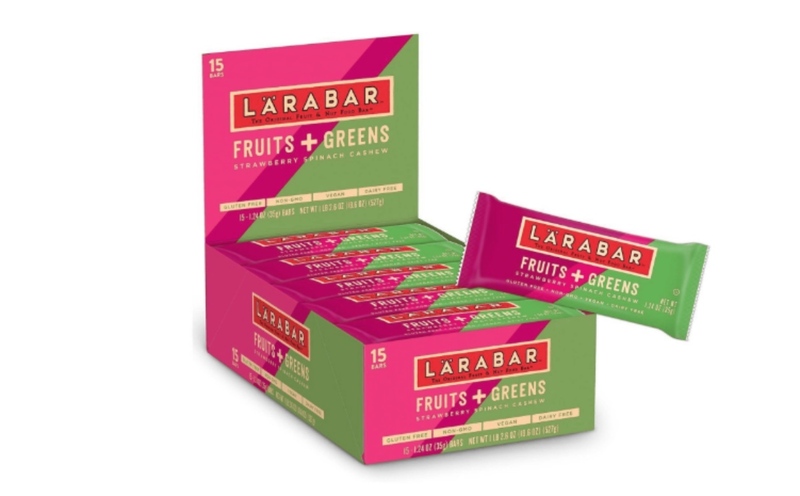 The new Larabar Fruit + Greens line is just that, whole fruit and greens delivered in energy bar form. In true Larabar fashion, the ingredients list is short and easy to pronounce: spinach, strawberries, cashews, apricot, unsweetened apples. The bar’s taste is bright and fruity with spinach undertones. Each bar contains 1/4 cup of the nutrient-rich greens and is very easy to chew and swallow. At 140 calories the Larabar Strawberry Spinach Cashew is a lite bar but packs big flavor and satisfaction. 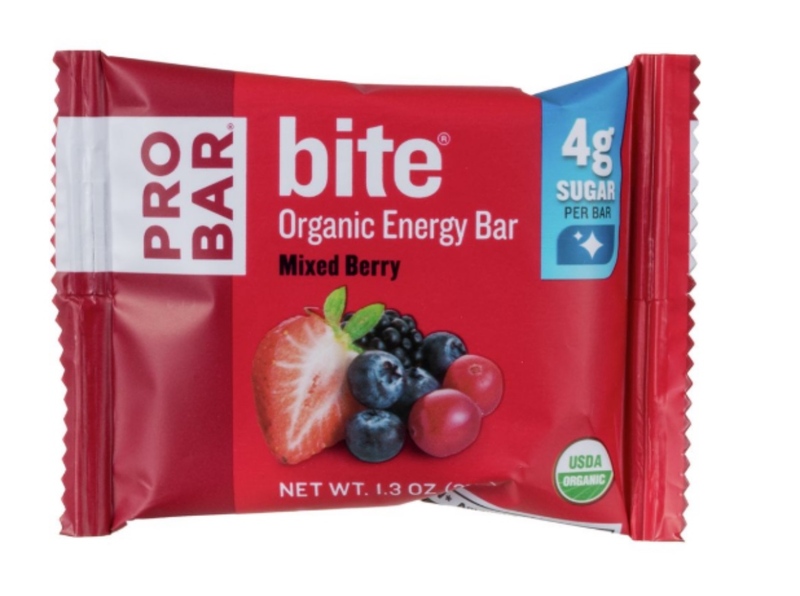 An organic, delicious and sweet tasting energy bar that is low sugar and gentle on the gut, the PROBAR Mixed Berry is made of (you guessed it) mixed berries, plus cashews. The result is a not-too-sweet and satisfying energy bar. It honestly tastes more like eating dried fruit than anything. At 140 calories per, the PROBAR Mixed Berry bar is light, but still great for getting moving and feeling full. And it has 21 grams of carbs to keep you pedaling strong, making it perfect for mixing things up on the trail. Chia seeds are a hot ingredient in the energy bar world because of their omega fatty acid content, carbs, and the full feeling the deliver when consumed. 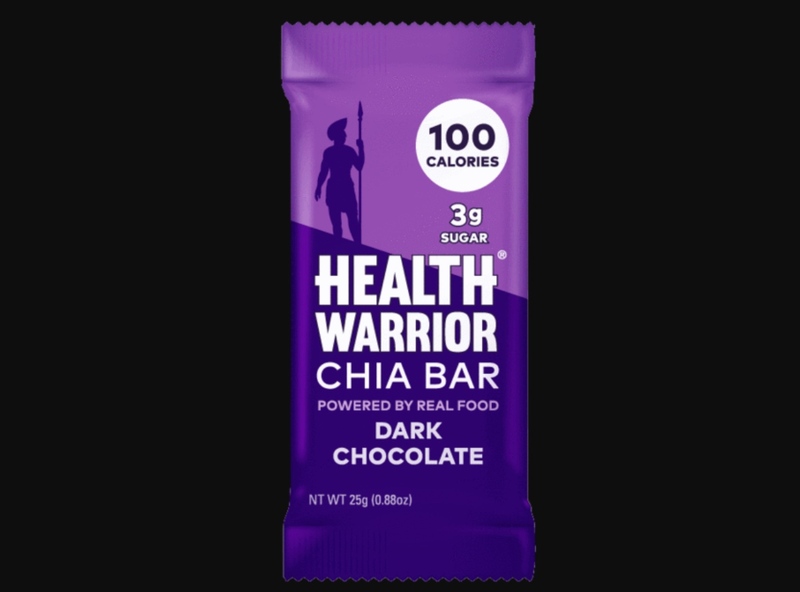 Health Warrior uses chia seeds and cashew butter for the base in almost all its energy bars, and the result is a nutritionally dense, tasty snack. This energy bar tastes more like a candy bar because of the dried fruit and chocolate. The 100 calories are perfect for a short training, and with only 3 grams of sugar, it will keep your blood sugar in check. For those on the paleo diet there are many delicious energy bar options available. For the unfamiliar, paleo eaters consume only foods that humans ate when they first roamed the planet millions of years ago. The faddish paleo diet is reasonably healthy, but it can make finding energy bars (and other on-the-go-food) hard to find. But fear not. 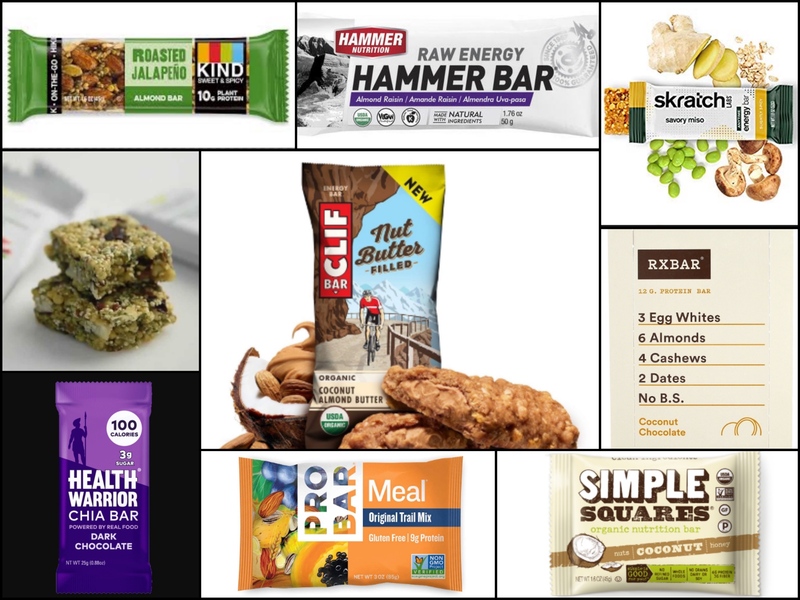 Mtbr’s best energy bars list has you covered with the most nutritious and delicious paleo friendly options around. Similar in taste to a paleo brownie, this bar would be recognized as a superfood by both Mayan and Incan cultures for its incorporation of traditional South American ingredients. Thunderbird combines superfoods like hemp, peppermint, and chia for a full feeling that will also fuel the body during competition. The taste is sweet with a mint chocolate finish that will fill your head with thoughts of peppermint patties and wholesome goodness. At 200 calories, Thunderbird Bars are a great long ride companion. Just like its name implies, Simple Squares keeps the ingredients list short and simple, but the nutritional density up. Made with cashews, organic coffee, a pinch of sea salt, and herbs, these bars are genuinely paleo. 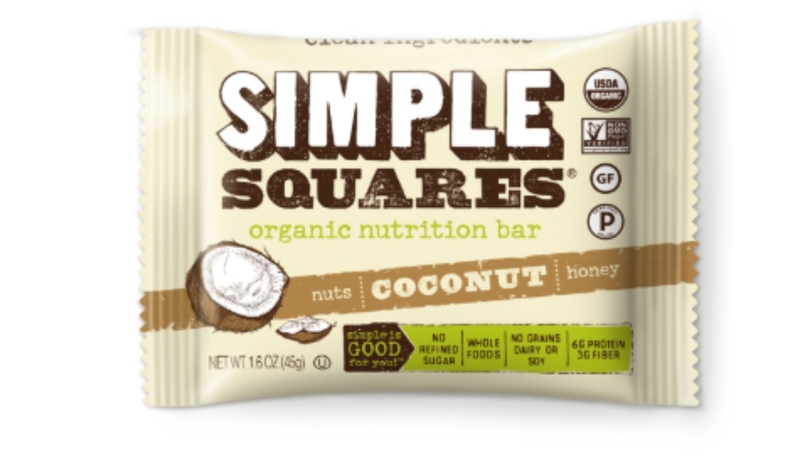 At 230 calories, Simple Square bars are a sweet treat at a rest stop or for long haul fuel for interval sessions. They contain zero wheat, gluten, dairy, soy, corn, or refined sugars, and pack 6 grams of nut protein and 3 grams of fiber per bar. RX Bar is growing in popularity and it’s easy to see why. These bars taste more like a chewy brownie than something that is healthy. Don’t let the taste fool you, though. Egg whites, dates, and nuts are combined with delicious flavors to create a nutritiously addicting energy bar. The taste is a balance between coconut and unsweetened chocolate with a chewy texture that will please the kid in you. 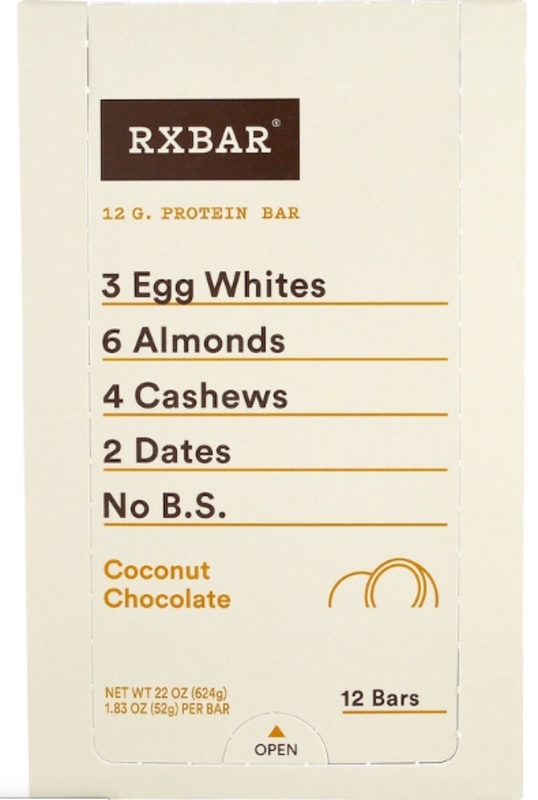 RX Bars pack 12 grams of protein, 5 grams of fiber, and no sugar in a 210-calorie package. I’m a fan of Larabar. They are tasty and easy to eat Trailside. Look at the list of ingredients next time you are buying energy bars. I love the list of the Cashew Cookie Bar: Dates, Cashews.